Fully renovated downtown loft with over $30k in upgrades. Kitchen updated with new 11/26 Exotic Granite Counter tops with Extra Large Island that seats 4, beveled mirror back-splash, and a premium faucet. Other upgrades include custom kitchen cabinetry, Top of the line 4 door refrig, custom stained concrete floors, high-end custom made designer lighting, LG steam washer and dryer, window treatments etc. 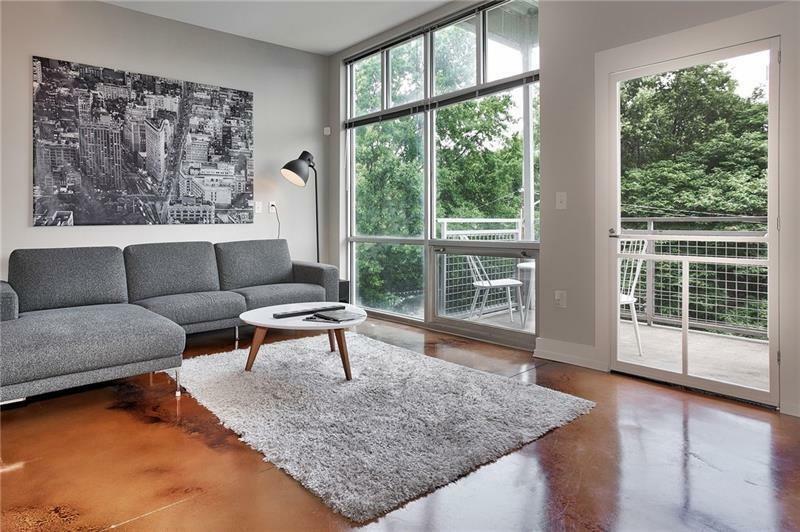 Unit has an open floor plan and a spectacular downtown view through the extra large floor to ceiling windows. Located in Castleberry Hill. Low HOA Fees!